My car was rear ended last night while traveling at highway speeds. The car is a 2013 Chevrolet Impala with fairly low mileage. I do not know much about cars but both quarter panels are damage and I know that the rear driver side door no longer opens. The trunk did open but does not appear to be sitting right on the car. The car is currently at a tow yard and will be taken to an auto body shop and examined by the insurance adjustor. I am just wondering what I should ask the adjuster to look for as far as ensuring that the car is safe to repair. The insurance adjuster is not going to make any decision until they get an estimate from an auto body shop, unless it is very obviously totaled. The auto body repair shop estimator at whatever body shop that you choose to take your car to, will write an accurate estimate to repair all the car accident damage. It is the job of your insurance adjuster to determine if the insurance company feels the auto body repair shop estimate is accurate and is through enough to fix all of the damage. The adjuster will then determine if your car is going to be considered repairable, or if he will declare the car to be a total loss. But please note, the adjuster is not an auto body repair man so it is not their job to create an estimate. If you doubt the estimate is accurate you can have an auto body shop of your choice give you an estimate, as well. Seeing that your car is fairly new, most insurance companies will recommend that you use a body shop that is on their direct repair program, however, you do not have to use that auto body shop to fix your car. Any reputable auto body shop can repair your car for you if it is still repairable, but they might have to abide by the guidelines of your insurance company. 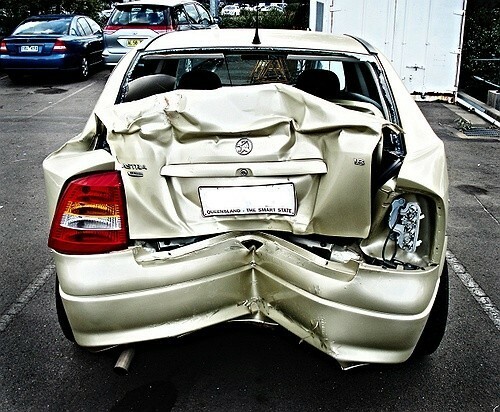 Assuming the car is considered repairable and the adjuster is ok with the auto body repair estimate, ask for a rental vehicle if you have rental reimbursement coverage. Also ask for how long your policy will cover the rental car costs, as these vary from policy to policy. When you drop off your car for repair at the body shop, a rental car should be provided for you while your vehicle is in the shop to alleviate more hassles of being without a vehicle, but only if you have rental car coverage in your insurance policy. Ask your Insurance adjuster if the policy will include the use of OEM parts in the repair vs. salvage yard (LKQ), or aftermarket parts. 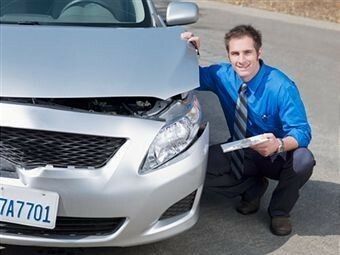 The preferred repairs will always be made with OEM parts even though they are more expensive for the insurance company. You could also ask the insurance adjuster about filing a diminished value claim for your car since it is a new car and this repair will significantly lower the resale value. You might get some push back from your insurance adjuster, but there are legal protections for you that cover this. If necessary you might want to seek legal counsel if you are getting too much push back from the insurance company. Once you pick up your vehicle, thoroughly inspect it, and most importantly, do NOT take it if it is not repaired to your satisfaction. Let the Auto Body Manager know if any flaws that are not right. Check for paint match, and paint quality. I usually check closely for overspray on areas that should have been covered, as well as runs and sags in the paint. Also check for sanding marks under the paint that might be hard to notice at first. Since your car was involved in an accident, it will never be exactly like new again, however, skilled technicians in a quality body shop can repair your car to very close to new. DON’T cut corners and take it to a questionable auto body shop or you might regret it in the long run. If you need the services of an auto body repair shop, you have come to the right place here at Auto Body-review.com Our home page will determine your location and will show your results for quality auto body repair facilities in your area.